Cigars are considered among the finer pleasures in life. Whether you are looking to buy your first or are a self-claimed cigar connoisseur, we have a wide range of brands and prices to meet your needs. Choosing a cigar can be an art but, in the end it all comes down to personal preference. Like a good Scotch or Bourbon, everyone has different tastes. That is why we have a humidor that carries a variety of Cigars sure to satisfy everyone’s taste or for you to discover new favorites. With over 20 billion cigars smoked each year, there are a lot of options. Ask Festival for your cigar of choice or inquire about what we recommend. The great part about getting premium cigars from Festival is that you can also get your wine or spirit of choice too. Handcrafted to perfection since 1968, these premium cigars need little introduction. 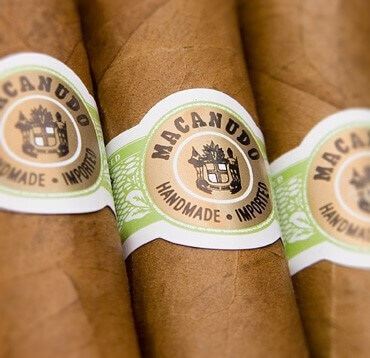 Macanudo’s wrapper tobacco rests and ages for at least two years before being packaged in Dominican rum barrels to mature. The flavors have been described as distinctively smooth, perfectly balanced and luxurious. All the way from Santiago, Dominican Republic; Macanudo is worth relaxing with. 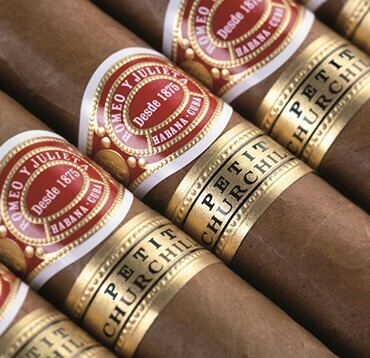 Created in Cuba over 130 years ago, Romeo y Julieta cigars have been a favorite among many, including Winston Churchill. Due to popularity, and the Cuban embargo, their production was moved to the Dominican Republic. Described as rich, full flavored, robust and complex, this is a cigar you need to have in your humidor. 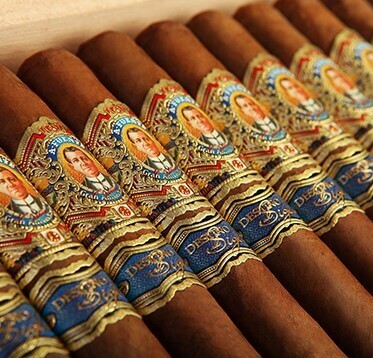 Named after Shakespeare’s famous literary masterpiece, these cigars do not disappoint. Four-generations later, this cigar company is celebrating it’s 103rd year of hard work and dedication. These hard to get cigars are well-known for their excellence; because no one cultivates cigar filler and wrapper tobacco as meticulously than Fuente. They were named the best cigar of the year by Cigar Aficionado magazine and considered the Best of the Best 2014 by RobbReport.com, among many other awards.